My middle daughter is an action loving girl. While she enjoys a good love story, she typically gravitates towards mysteries or other action packed tales that hold her interest. Stories like this are hard to come by. I'm always excited when old stories are brought back to life. 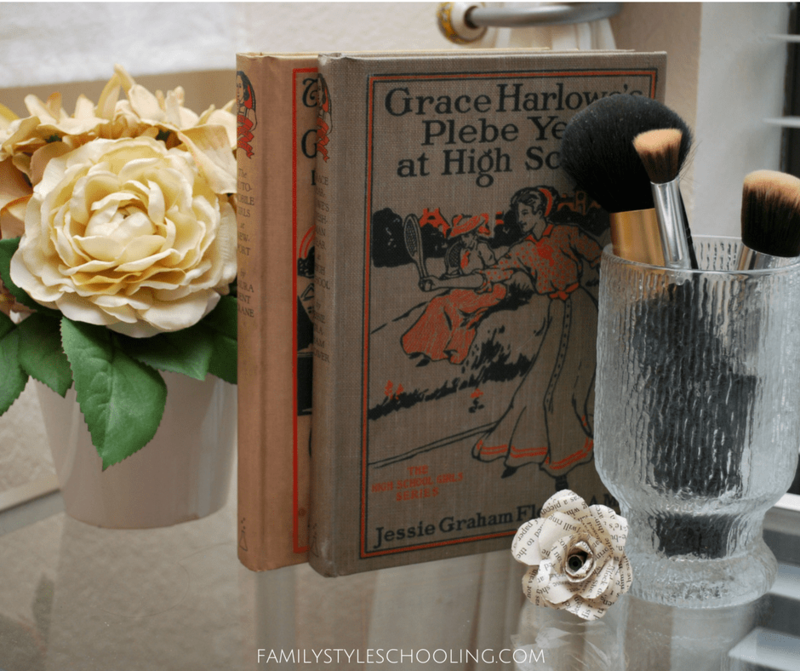 I grew up buying vintage books from antique stores we'd stop at on road trips. 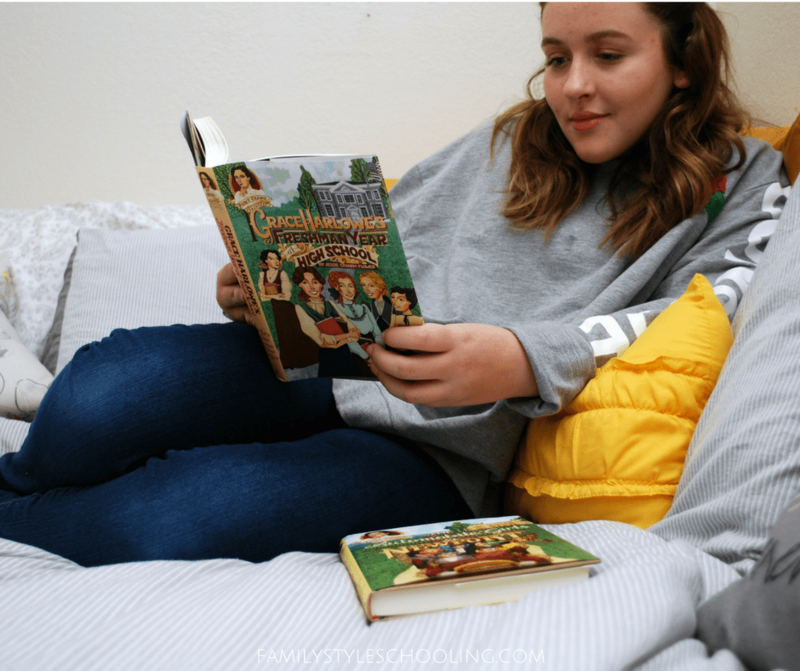 When I saw this new series of middle grade adventure stories, I couldn't wait to share them with my daughters and spark a new love for these kinds of books in their hearts! I received a copy of these books for free and was compensated for my time. All of my opinions are my own. See my full disclosure for more details. Aunt Claire Presents, published by Laboratory Books reintroduces stories read by American girls a century ago to young women today. Published in a hardcover format with a modern dust jacket, these charming books are ready to excite the imaginations of another generation of middle grade girls! 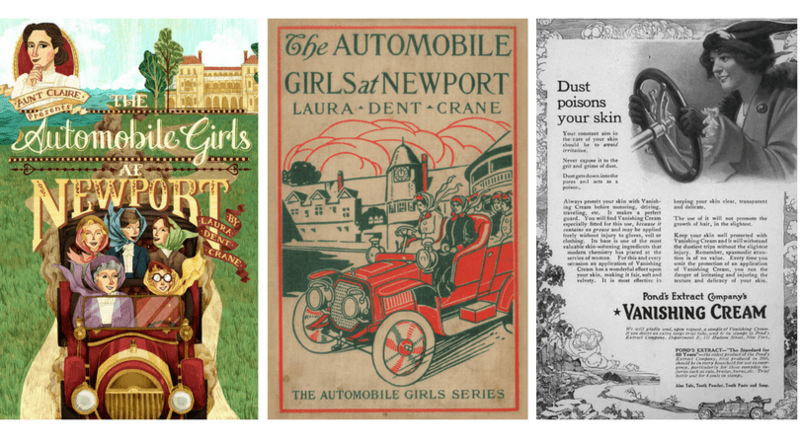 The Automobile Girls at Newport: or Watching the Summer Parade - In this book, you will meet Ruth, Barbara, Mollie, and Grace, the four explorers who take to the road in Ruth's bright red car, affectionately called Mr. A. Bubble. They are heading for Newport, Rhode Island, a resort town famous for mansions and millionaires. Grace Harlowe's Freshman Year in High School - The girls have all sorts of adventures in their freshman year at Oakdale High School―there are parties, pranks, and even a pack of hungry wolves. The girls must contend with Miriam's scheming, the cruel jokes played by the sophomore class, and a most unpleasant math teacher. Oh, and Anne has a secret. . . . The Girl Aviators and the Phantom Airship (Released Spring 2018) In this book, you will meet Peggy Prescott and her brother Roy, two orphans who drop out of school and spend every last dollar they have to fulfill their father's dying wish—to construct a new type of aeroplane, better and more reliable than any other. Grace Harlowe's Sophomore Year in High School, or The Record of the Girl Chums in Work and Athletics (Released Spring 2018) In their sophomore year, Grace and company are intent on beating their rivals, the junior class, on the basketball court. But the sophomore team suffers a catastrophic loss when their secret basketball signals fall into the hands of the juniors—and the finger of suspicion points at Anne. Any time I run across a new book series, I always hand them over to my mom to read. She lives with us, and she's an excellent reader! It's so wonderful to have someone willing to vet books for me! Action Packed: The stories were action packed and kept you turning pages to get to the end! Growth of Characters: Throughout the story, the characters learn and grow in ways that keep them interesting and worth reading. She enjoyed adventuring along with the characters. When my middle daughter got her hands on these books her eyes lit up! She loves vintage things, and the history saturated stories intrigued her. At thirteen, she's a strong enough reader to read and appreciate the historical background given by Aunt Claire in the introduction. Sprinkled with pictures and news clippings, these informative intros are a great way to integrate history in a fun way with your middle-grade readers. It might be a little much for younger readers, but they can just skip it and jump right in to the story. This would be a great opportunity for you (mom) to read the intro by herself and sprinkle in the historical details as you discuss the story with your daughters along the way. There are also a really great selection of writing prompts and discussion topics available to extend the learning as you read. 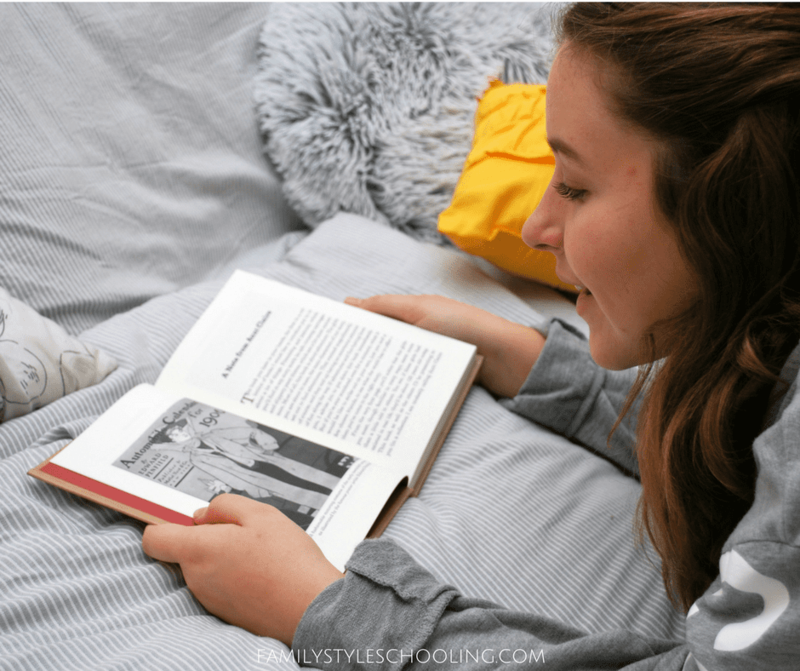 These books would make a fun book club for your daughters to read with friends and discuss. I love the look of the books. The cover art is a great combination of old-world charm mixed with modern colors and design. What is even better to me is that if you remove the dust jacket, you can see the vintage cover hidden underneath. There is something fun about the look of old books. 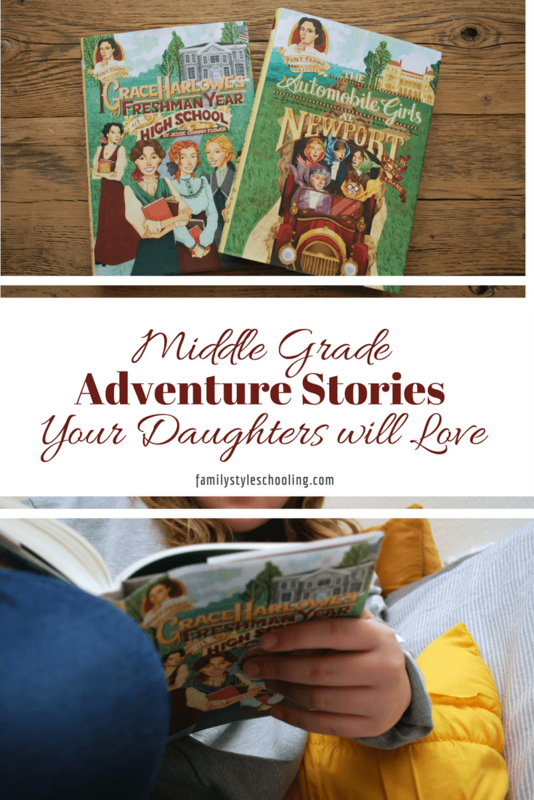 These would make great Christmas gifts for your middle-grade, adventure-loving daughters. Make sure to check them out on Amazon, and help another generation of young adventurers enjoy these stories again!